Calling all outdoor lovers, destination race seekers, and people with adventure in their hearts! I have something very special just for you. Perhaps this blog needs a disclaimer: As a born-and-raised northern Californian, I might be a little biased to love tall trees, balmy weather, and flannels (sorry Wales and Scotland, Paul Bunyan skewed the pop culture reference to the lumberjack dark side). If after reading my effusive oration you too are swayed to the dark side, I can offer direct links to your next flannel purchase (beards not included). I take any opportunity I can to visit the PNW. I book races each year in the area because honestly you cannot beat the views, the people, the coffee, and the character. At the end of 2018, I was fortunate to be able to spend an extended period of time in this area. It took me almost a month, but I ate, explored, and wanderlusted my way through NorCal, Portland, Seattle, and Victoria BC. I won’t be featuring Portland in this particular feature and keep an eye out for a separate piece on NorCal (this will be especially desirable for any athletes competing in IRONMAN Santa Rosa). huge fan of their Portland property. Funky decor, comfortable rooms, reasonably priced, free happy hour drinks in the lobby at 6PM each night, the list goes on. Like my train ticket, this hotel stay was booked incredibly last minute, but the hotel staff really took care of me (I like to live life on the edge. Ask me about my plane ticket catastrophe later). There are SO MANY ferries that run service to Victoria BC (because: island). BUT, if you are heading there from the US, there is only one ferry service I’d take. The Clipper (a 2.5 hr direct ferry ride from downtown Seattle to Victoria BC) made my journey north was exactly what I had hoped for. I use these words a lot in my travel reviews, but that is because they are so important to me: comfortable, convenient, coffee (they have a cafe at the Seattle port where you can pre-fuel, praise the caffeine Buddha). I’d also highly suggest booking the comfort class option for this ferry. For $25 more, you get a separate seating area with complementary drinks, snacks, separate bathrooms, and the best views on the whole boat. It is A-OK to take bikes on this leg of the journey. The Clipper accepts oversized bags for a nominal additional fee of $37. So bring the bike case. Additional info about bikes (assembled vs. disassembled) can be found here. For those traveling for IRONMAN Victoria who don’t have a case to transport your bike, I’d suggest using a bike transport service such as TriBike Transport. Reserve your spot early for this race, the bike transport services fill up fast. Stepping off the boat and into the crisp January air in Victoria was very honestly an experience I won’t ever forget. This place is something out of a fairytale. There is a good reason it is one of the top tourist destinations in Canada (possibly the world)! The Clipper does a great job of getting you through customs quickly, luggage and all. Luckily for me, my hotel was quite literally a stones throw from the harbor. You may have heard of it before: known for its legendary high noon tea & recognized by National Geographic as one of the world’s 21 most iconic hotels, the Fairmont Empress needs no introduction. To give a full and complete description of my stay at the Empress would truly take five blogs. 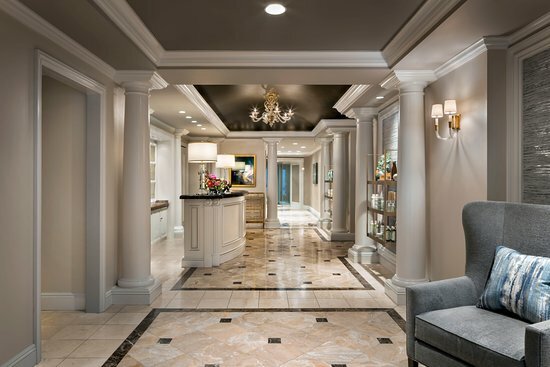 This property is dripping with heritage, elegance, and a surprising modern twist that should bring this hotel to the top of anyone’s list on places to stay in Victoria (especially for athletes visiting for the IRONMAN race in June). *QUICK TIP FOR ATHLETES*: The drive from the Fairmont Empress to Elk Lake (the swim start for IRONMAN Victoria 70.3) is approximately 25min via Patricia Bay Hwy/BC-17. I’ve included my list of must do’s at the Fairmont Empress and in the city of Victoria (Destination Greater Victoria ) has an amazing website jam packed with additional information about hotels, activities, maps, and more). Show me someone who DOESN’T enjoy a spa day and I will advise them to google ‘Treat Yoself.’ Willow Stream Spa offers a wide variety of massages, facials, and signature treatments. I highly recommend their Wellness Detox (a speciality massage launched this month that is geared towards detoxifying stress & toxins out of our bodies). Full body exfoliation, aromatherapy massage with grapefruit black pepper oil and my personal favorite, the jade facial roller and scalp massage. When you book a massage with Willow Stream Spa, it comes with access to their mineral pool, sauna, steam room, indoor pool, and fitness center. Check the Special Offers section of their website for updated discounts and packages they are offering. Believe it or not, forest bathing does not typically involve water, soap, or your favorite rubber ducky Franklin McMallard. The practice of forest bathing has been gaining attention since the 1980’s in Japan where it was used as a means of preventative healthcare. Translation: spend time in nature and reap the healing benefits of serenity, detox, & restoration. As a triathlete, I often find that although I am constantly outdoors, my highly focused training doesn’t allow me much time to look around and smell the roses if you will. I thoroughly enjoyed my trek out to Mt Wells under the guidance of Ryan Leblanc (founder and lead tour guide of The Natural Connection). With full/half day adventure options (spoiler alert: the full day adventure includes the most delicious lunch so there is really only one true choice here), you can see the gorgeous forests of surrounding Victoria and get a little taste of what it feels like to be cleansed by nature (and go ahead and bring Franklin McMallard if you really want to). The word ‘catamaran’ alone excites me, so getting to ride one through the thriving waters surrounding Vancouver Island is possibly akin to eight shots of espresso and an adrenaline shot. 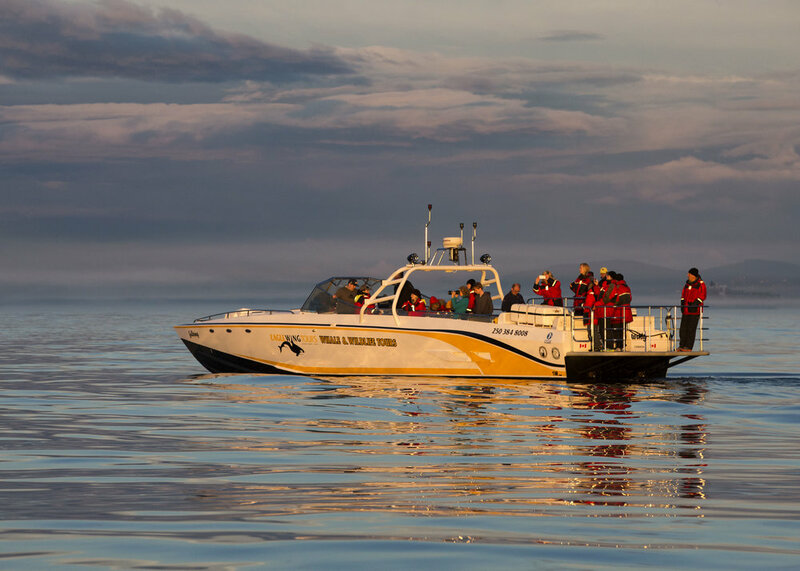 Eagle Wing Tours offers the longest and most comprehensive Whale & Wildlife Tour available in the industry! Depending on your adventure quota, you can select tours on one of their four different types of boats (ranging from partially covered to a full on saltwater-spraying, wind in your face experience). Check out their website for pricing, packages, and a virtual tour of the ‘4 Ever Wild’ vessel. Did you know that the Fairmont Empress makes a signature gin that is purple? It even has its own website! 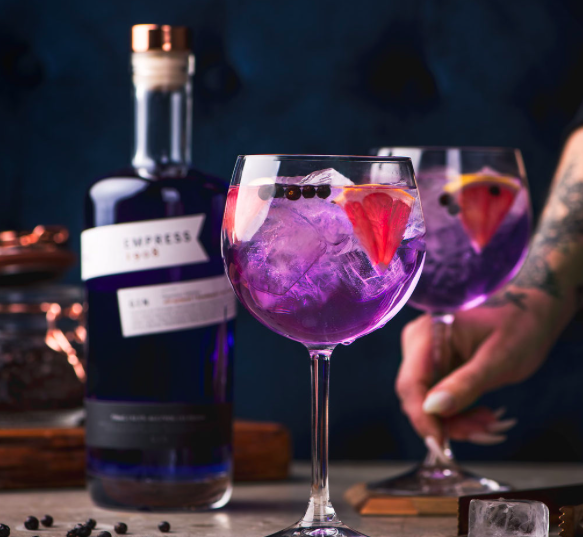 The Empress 1908 Gin is possibly more flavorful and exquisite tasting than it looks (but upon further inspection, it looks pretty dang fabulous too). Regardless of where you choose to stay on your race visit to Victoria, I highly suggest paying a visit to the Q Restaurant and experiencing an unforgettable meal. Katie’s favs: Farro & Flax Bread with Empress Honey Whipped Butter, Seared Scallops & Wild Boar, and the Sticky Toffee Pudding with Spiced Honey Ice Cream.